So far… I only see this LIVE for iOS. Google still hasn’t shown the Update in my game yet. Should be Live for both now. Once you are up to date, you will notice NEW LAND in the Lower Left Corner of the game. You first will need to tap on it to pop up the District information, tap on the “Let’s Go” and it will take you to the new greyed out Land. Once you tap on the Land, it will pop up a 2nd piece of info letting you know you Unlocked the New District. 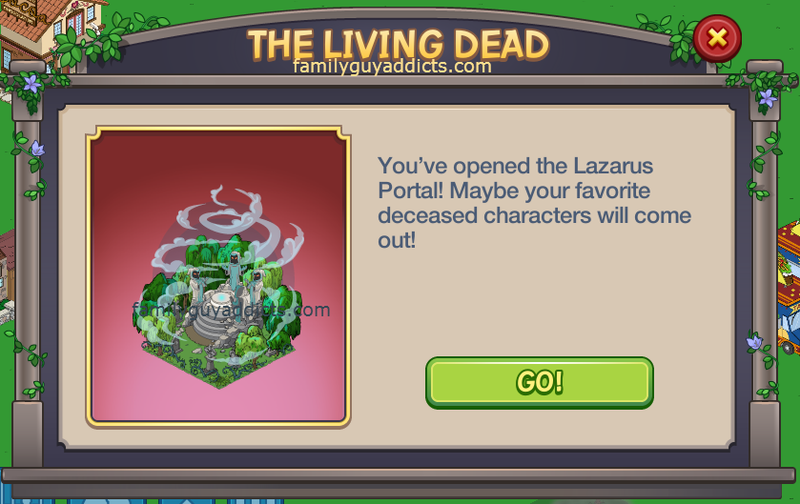 The first two pieces of land showing around the Lazarus Portal will now be available to start to clear. The one Left of it will cost $45,000 and take 36hrs to clear. The one Below it will cost $30,000 and take 24hrs to clear. Clearing the $30,000 one will gain you access to the Lazarus Portal. The last area of Land will cost you $60,000 and take 48hrs to clear. You will not see these until you Open the District and see the Pop Up it is Open. Sick Burn Crematorium: 400 Clams , Instant Build, $60 & 40XP every 12hrs. Helps with Ghosts (Loretta, Paddy, New Brian). Once you have unlocked the Land by the Portal (I went for the $30,000 one) you will see the icon over the Portal has now changed to a Hammer. Tapping on that Hammer will instantly give you access to the Portal Info. For those playing during Halloween, or anyone that’s seen Ghostbusters… you should know what a Portal is. A Gateway to the “Spirit” World or Another World. In the case of our Quahogs, it is the Portal to the Underworld. 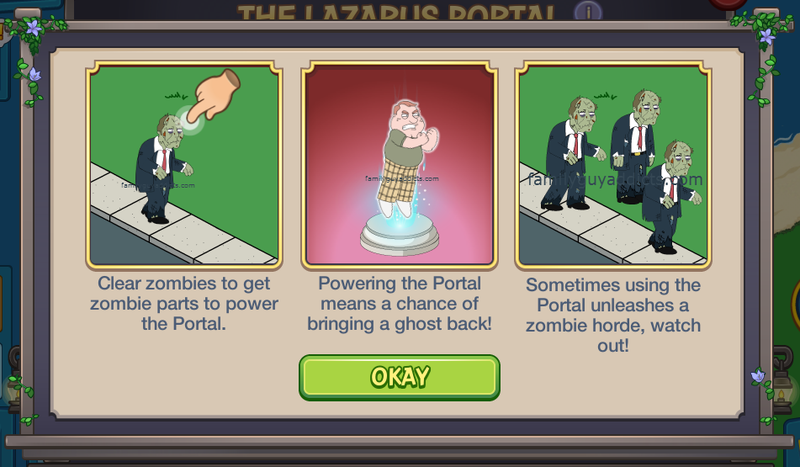 You will essentially feed the Zombies Parts to the Lazarus Portal to help “raise the dead” and free some Ghosts. So tap tap tap on those Zombies once you unlock Madame Claude. (If you MUST have a go at it right now… you can choose to spend Clams too… but I would suggest to wait. Don’t blow through it all at once or you’re gonna be bored. ) For my game, it showed you need FIVE Zombie Parts for a Chance at Resurrection OR 59 Clams . 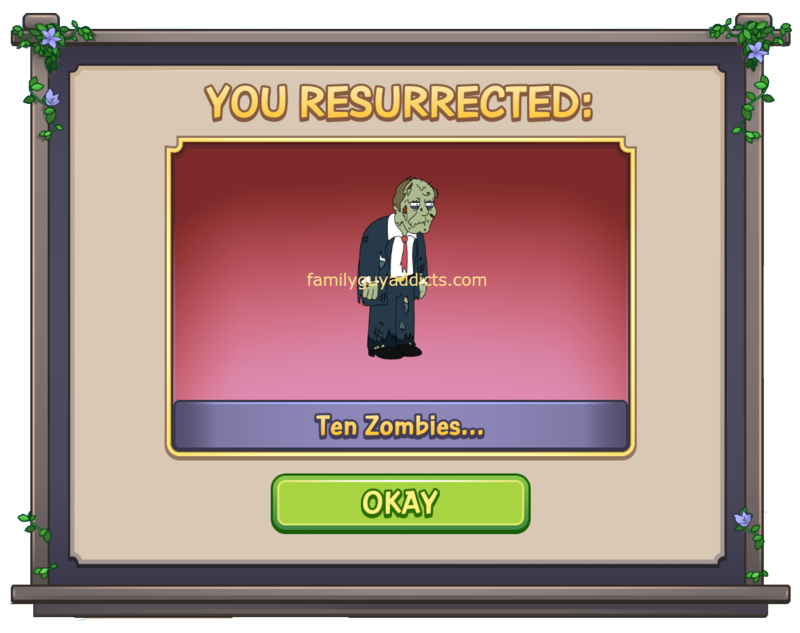 When you have enough Zombie Parts to take a try at the Portal, you will see the wording Changed to “Resurrect”. Tap on it. 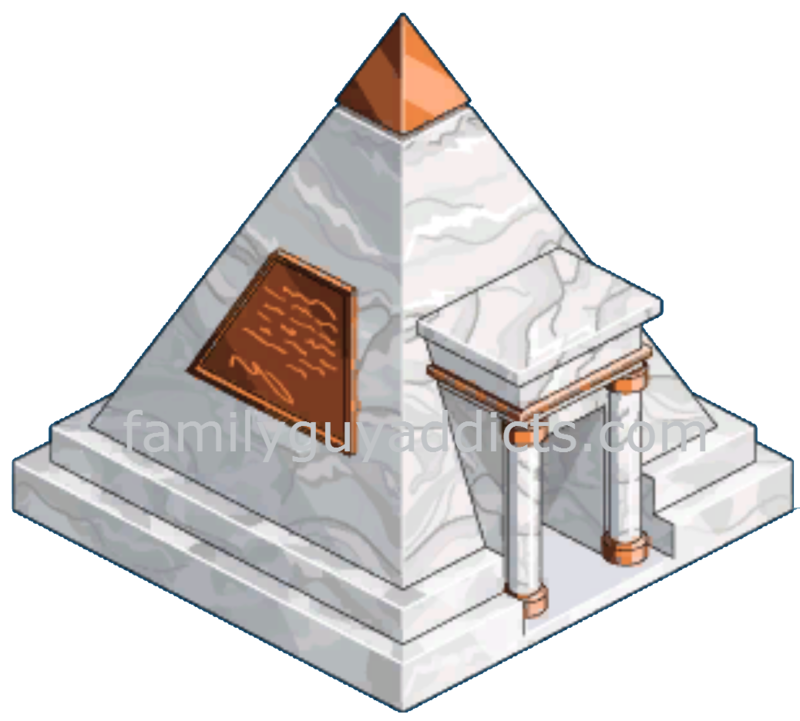 You will then be taken to a Scene showing the Portal, and then be awarded with the Item(s) you Resurrected. 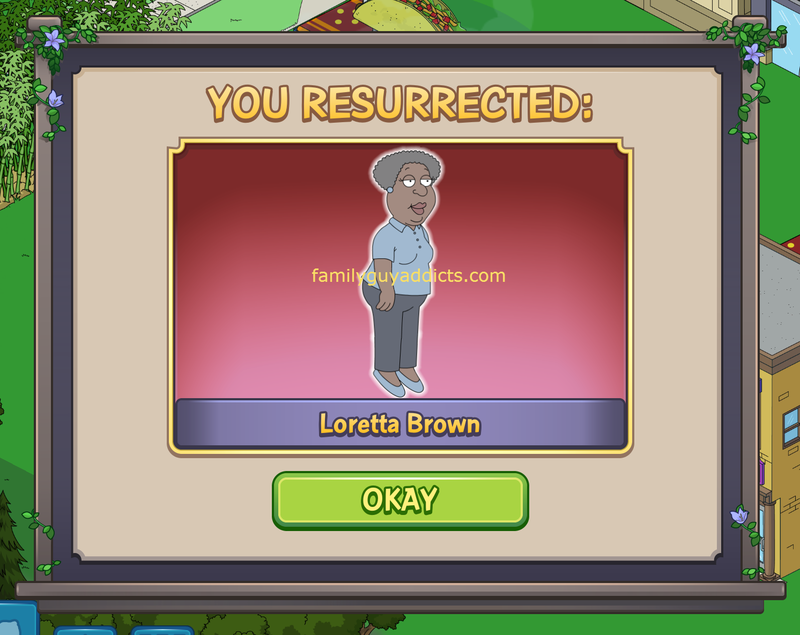 Loretta Brown: Fully tasked, Questline that will award Building Skin and Her Grave. 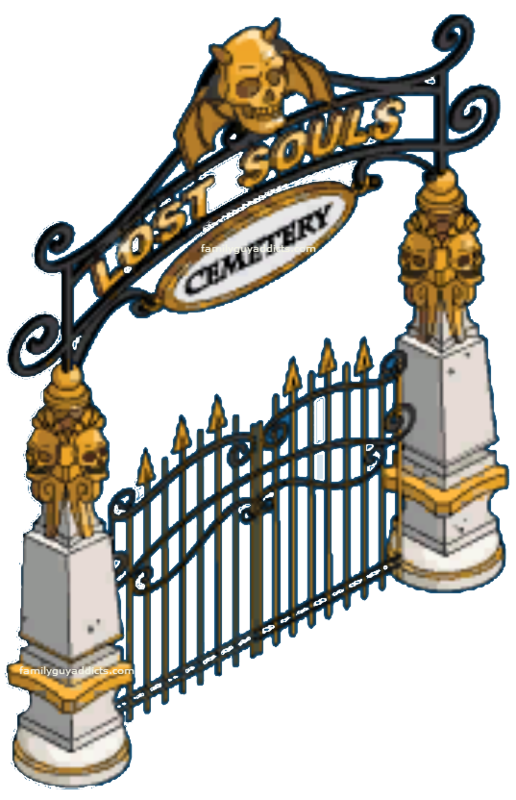 If you are successful at freeing any of the 3 Ghosts from the Underworld, they will have some tasks to unlock them you will HAVE to complete before you can make anymore attempts on the Lazarus Portal. You will find them waiting by the Lazarus Portal ready to be Unlocked. A LOT more details on all this in a separate post for the Lazarus Portal. 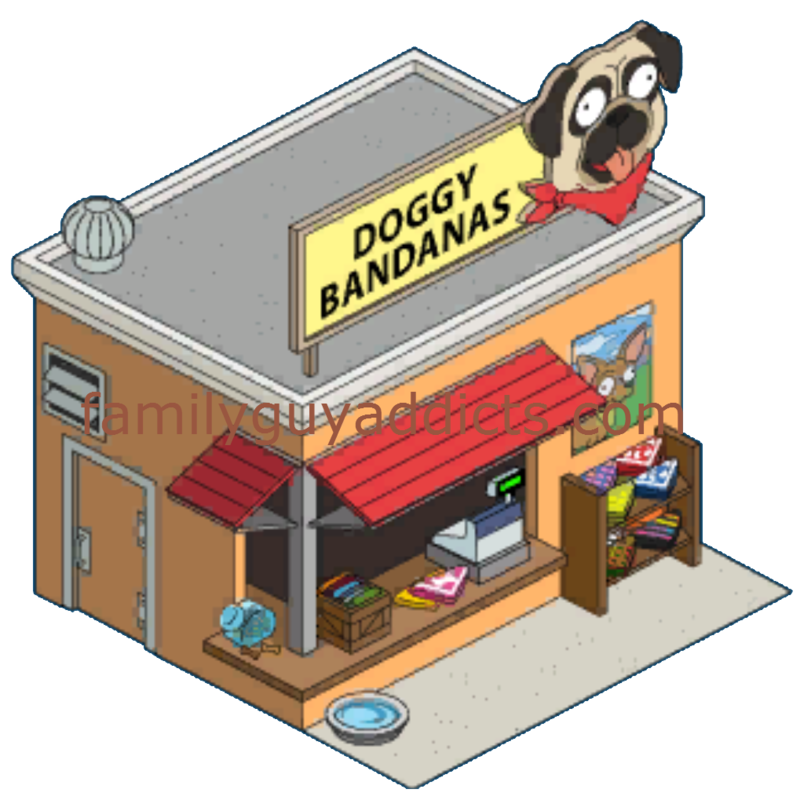 Zombies will start to show up in Quahog after you have completely unlocked Madame Claude. On their own, you will get up to 12 in your game. 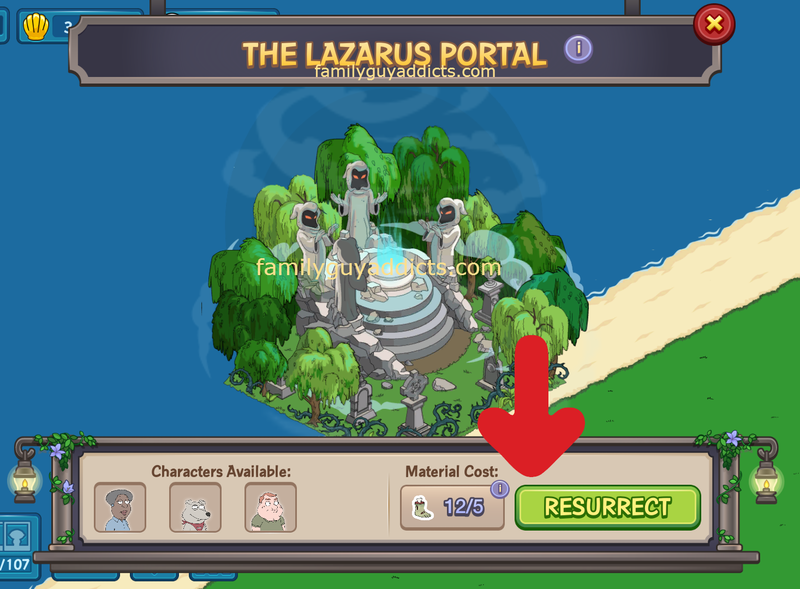 If the Lazarus Portal fails (you didn’t get a Ghost Resurrection), you can have up to 100 in your game. So it all depends on how many you Resurrect from the Portal (1,2,10,25,30) before you hit your MAX of 100. Tapping on a Zombie will give you ONE Zombie Part. 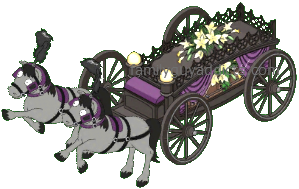 You can then use these for Decorations or the Lazarus Portal. 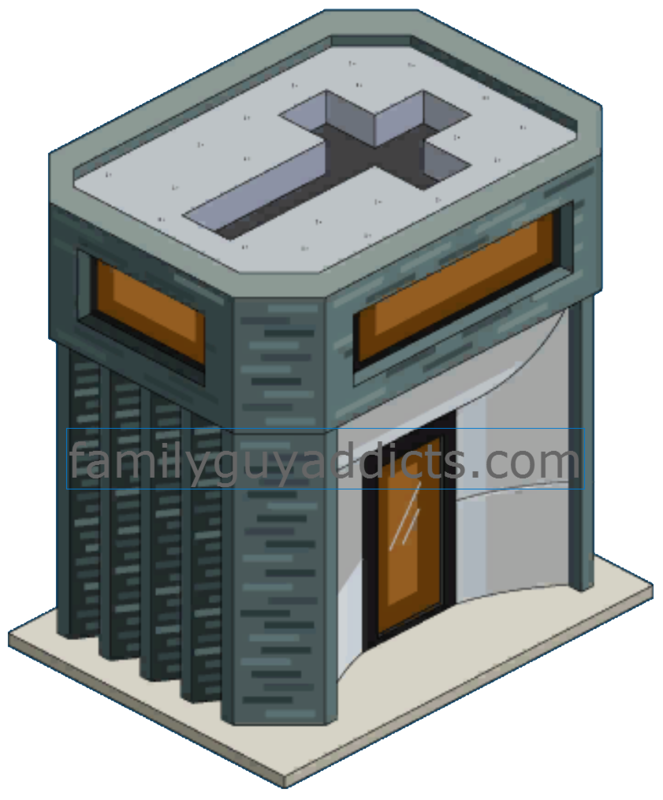 Zombies will remain in your Quahog and the game until ALL the Ghosts/Characters trapped in the Lazarus Portal are freed. More complete details on these to come in a separate post. But this should at least get you started for now. There you have it. 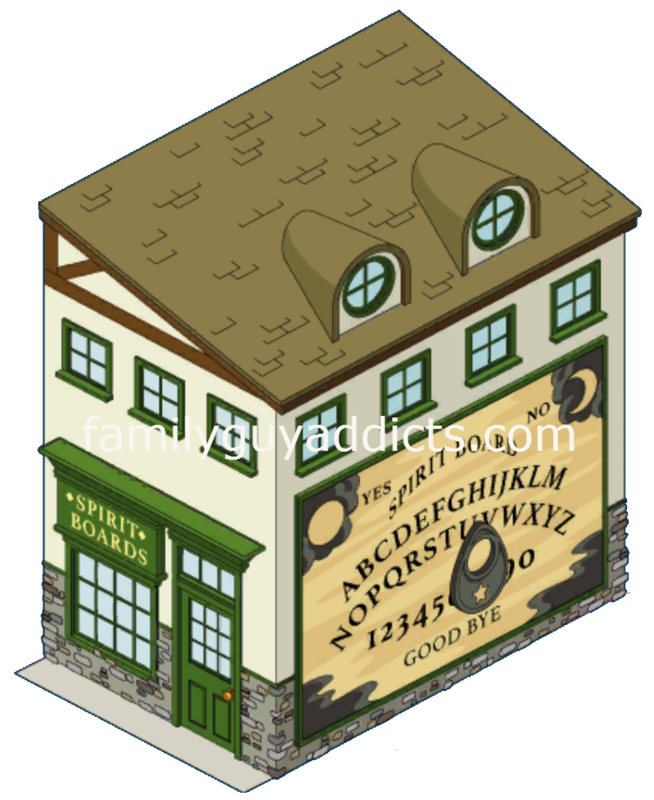 A LOT of cool New Spooky Stuff added to our game. Again, take your time. Enjoy it. 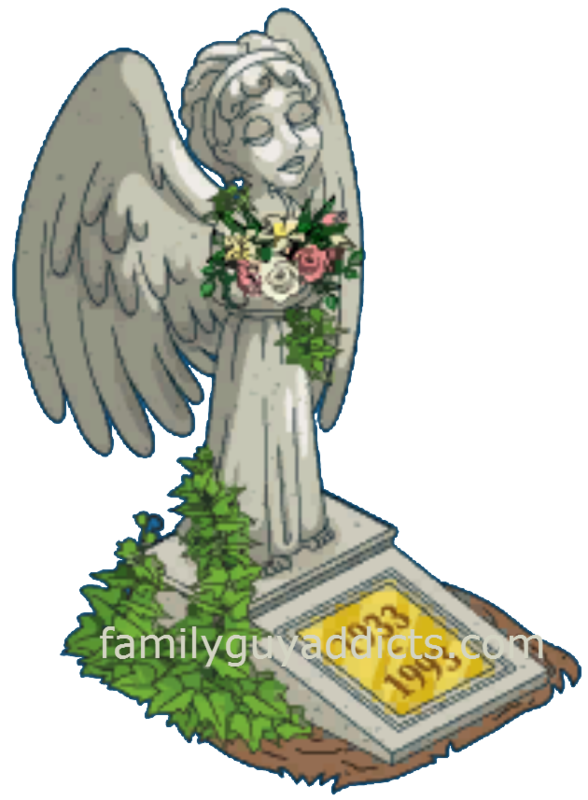 Focus on the Limited Time items in Hybrid Babies if you want them as they will go on the 30th. 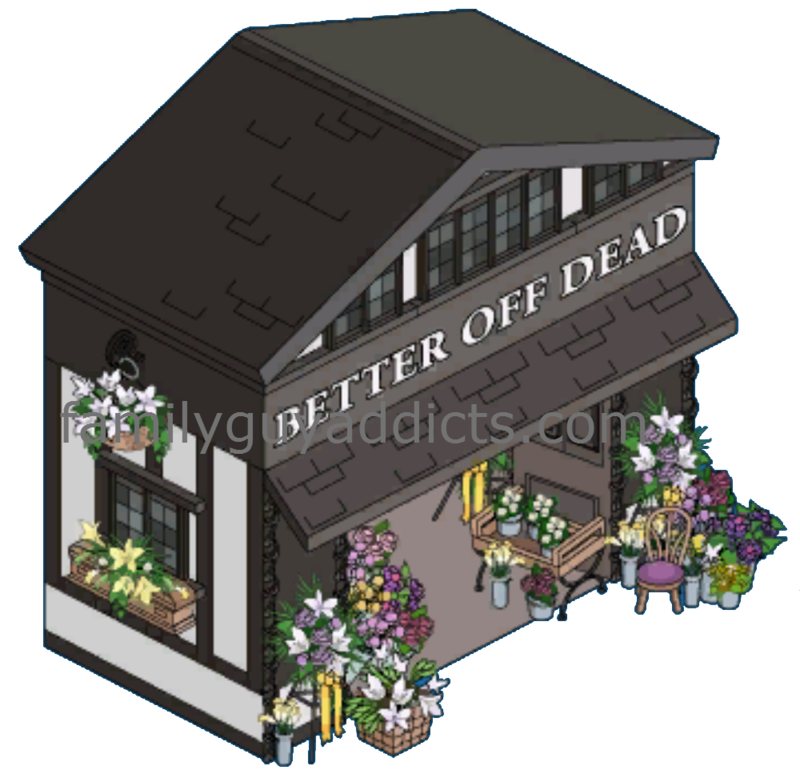 Otherwise, The Graveyard District is here to stay. You got all the time in the world… errrr… Underworld to finish it. 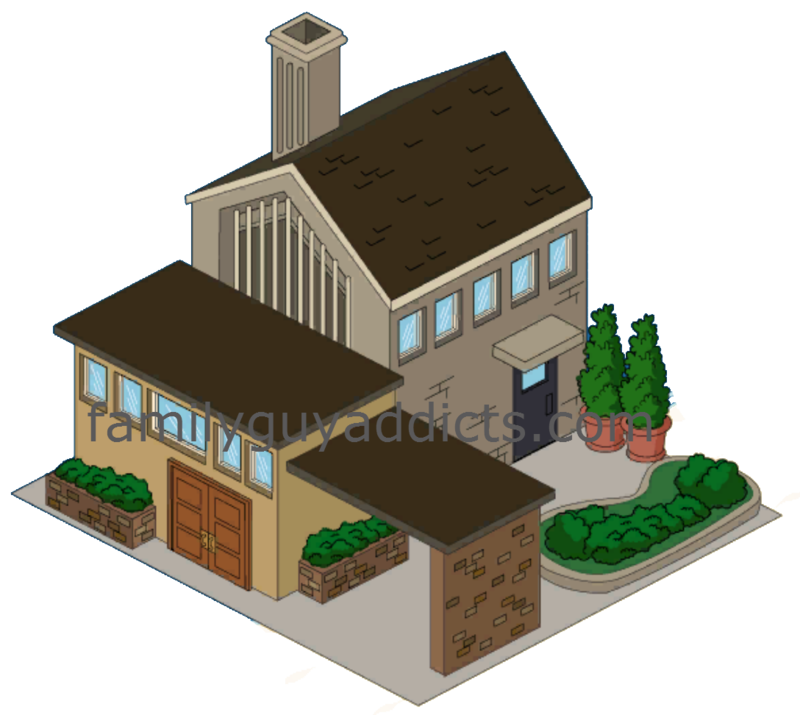 What do you think of the New District? How far have you gotten? 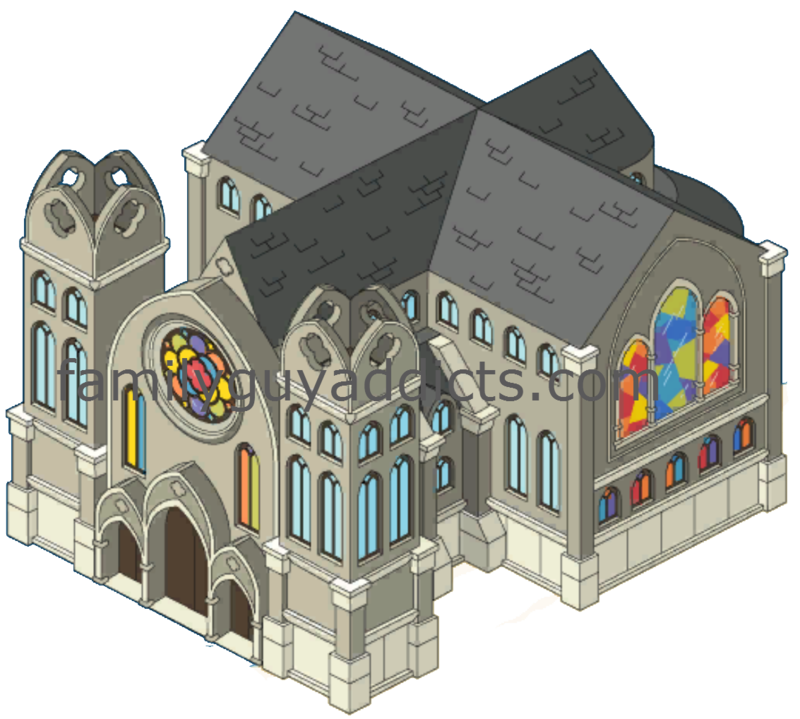 Liking the New Buildings and Decorations? Let us know. 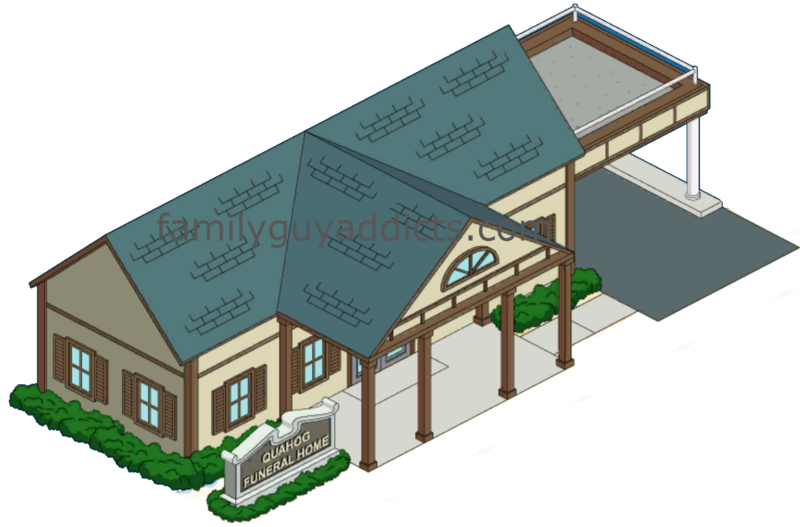 This entry was posted in Buildings, Characters, Clams, Decorations, District 11, Game Play and tagged Family Guy Addicts The Quest For Stuff, Family Guy Districts, Family Guy Tips and Tricks, Graveyard District 11, Lazarus Portal, Loretta Brown, Madame Claude, New Brian, New Land, Paddy Taniger, Zombies. Bookmark the permalink. Ok. I’m just waiting to clear the land for the portal. I haven’t even placed madam yet, cause I stupidly started both land plots to clear at the same time. 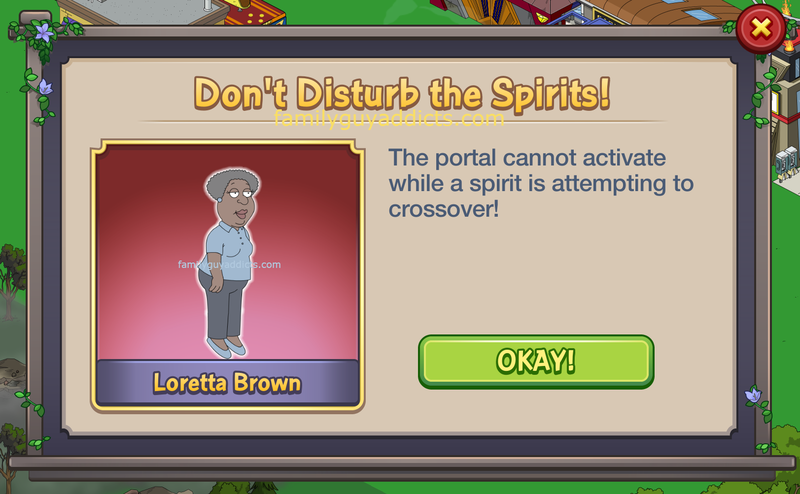 Didn’t realize that I only had to do one to open the portal and could have placed madam at the same time, but I already have zombies. I thought they wouldn’t come till madam was unlocked. She’s not even placed yet. I mean I know I can’t do anything with them yet, but isn’t it too soon for them? 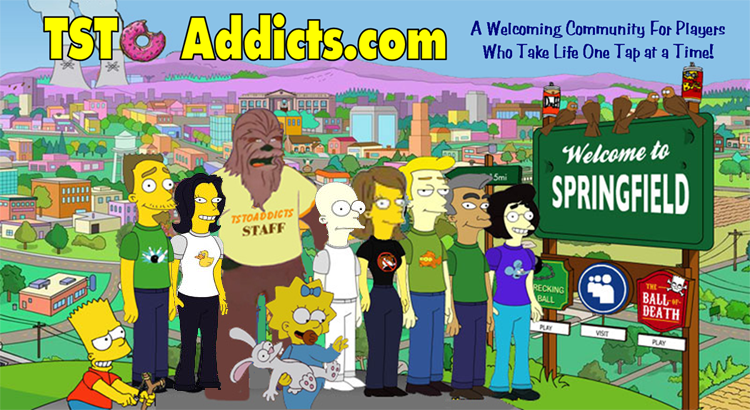 I am doing the mr weed quest line called former coworkers. Is there any link to show the steps of the quest line? As I already have him… I am waiting to see if I can pull more info on him. I finished my 3rd ghost yesterday, New Brian, and since then, there hasn’t been anymore zombies. I see Mr. Weeds in the portal but are the zombies supposed to stop spawning? I didn’t get many of the decos because I got pretty lucky unlocking ghosts. I just clicked on my Lazarus Portal for the hell of it. I have all 3 ghosts and finished their quest lines. There is a 4th ghost unchecked . ( I don’t know his name) big chin, baldish. Did I forget he was there or did they add him? I wasn’t finished with District 10 when district 11 opened. I am now fully involved in district 11 even unlocked Paddy, my question is am I just having really really bad luck with Zombies or is this the norm? Is that normal,, bad luck or good luck? Norm. Districts are here to stay forever and will take time to process through them. Just keep going and you will eventually get them all. Those perishing earrings will just not drop! My francis amd diane graves are missing. I looked in all my inventory tabs multiple times. They did come with graves right? Or am i just crazy? I messaged tinyco but wanted to know if you all are having the same problem. They were just generic Graves. Like ones you can buy now. I don’t remember anything special with them. 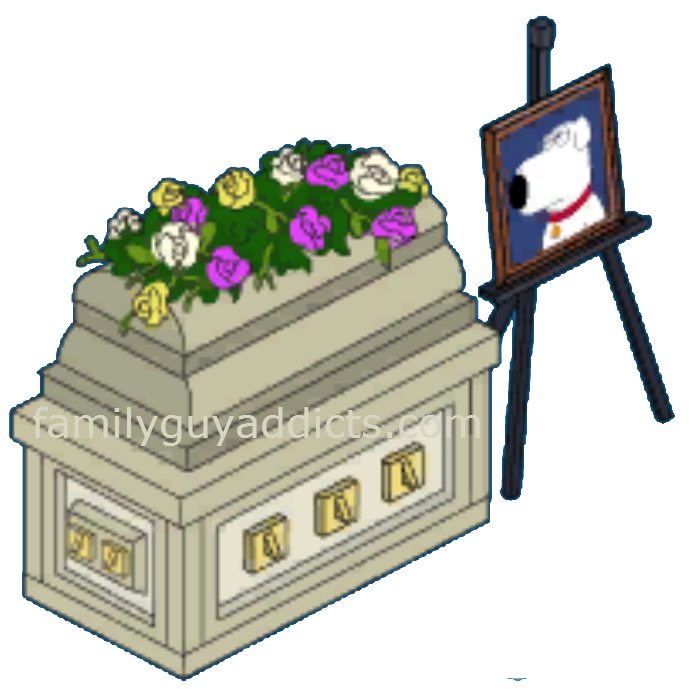 I thought they might have been like the one i have for Mr. Weeds, with a statue of him on the head stone. I dont remember though, it was too long ago. Maybe they will release more in stages like in the past. I’m currently trying to unlock Paddy. Can we confirm if the zombies stop spawning until you unlock the ghost in question? Since Paddy showed up, I haven’t seen a single zombie. Been about 6 hours now. I got Paddy on my first resurrection attempt! My question is do zombies stop spawining until the character gets unlocked? The reason I ask this is because I haven’t seen one since getting Paddy from the portal. Yes. The Portal becomes unavailable as soon as a Ghost comes out… so no more spawns til you are done. Psyched out pt 2: madame Claude and Bruce check out tarot cards (12 h). A brush with death pt 5: Brian drinks a beer (2 h) and activate the Lazarus portal once. Note that this is not retrospective, as I used it several times and am unlocking one of the ghosts, and cannot complete this step of the questline until I’ve unlocked him. Just trying to give back after all the help you ladies have given me! The walkthroughs did not have those steps when I posted. Just for future… this isn’t the walkthrough post… just a basic rundown. So we get you started in the game with enough info for a couple days… then post the complete details and descriptions in separate posts once we finish pulling it all where we can focus on just the one singular items. Hi Ladies – quick question – are the zombies supposed to spawn regularly like the mutant puppies (I didn’t see a timeframe listed – apologies if it is in the post)? When I unlocked the portal I had 12 roaming around. After I unlocked Madame Claude I was able to tap on them and use the portal as you posted. I managed to resurrect New Brian (after getting 2 more zombies) and I am currently working on him. I know I can’t access the portal again until he is completed but does that stop the zombies as well? Thanks!! I did not post a time frame due to there was not one provided. So I can only go off what I see in my game. It seems they spawn every few hours. I currently am Building a Ghost so can’t confirm. They do stop while you are making a Ghost. Thanks Bunny!!! 😀😀😀. How’s Mom?? I have unlocked Madame and am now tapping zombies. This looks like it’s going to be my favorite district so far. Question about the zombies, can you clear them instantly? 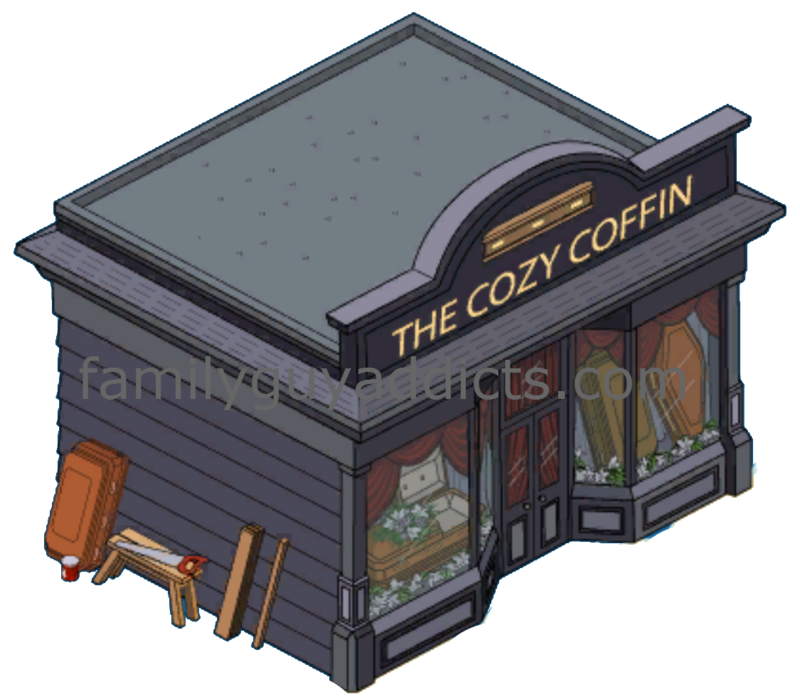 Not sure if this has been posted yet, but It appears that the Quahog Funeral Home is the same building from the 2014 Halloween event. It has just changed to a 5 hour payout from an 8 hour payout. (That’s what my current building did.) Just in case people who have it don’t want to have a duplicate building with land at a premium and also don’t want to spend the time creating a repeat building with so much to build and/or land to clear. I’m so glad it’s not timed! I want to finish the dog-babies. I visited friends that have obviously hacked as they have all the ghosts but when i clicked on them none talked …… You think we will ever get a Normal skin for the ghosts, i mean they was not always ghosts! None have voices for now. I just wanna say how much I love that Madame Claude requires so many characters to complete tasks! Its great! And all the land. And don’t get me started on all the cool buildings and decorations! Gonna look great for Halloween. I love it when lots of characters are given tasks; it makes it far less frustrating when there are only a few that can earn the required items, particularly when they are 8hour + tasks and nothing drops! Would be nice if more characters were used more often, even if that meant reducing the liklihood of a drop. That might just be my next ‘What the Deuce’ / ‘please can we have’ post! No sound as of now. 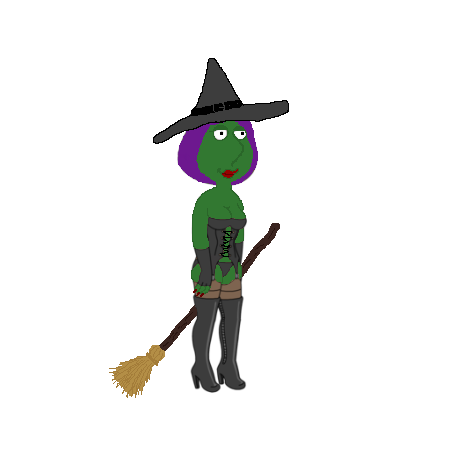 My Madame Claude is voiced now. My game won’t let me place Madame Claude’s , when I try to buy her shop it says I have to wait for the second plot of new land to unlock, last night it said I had to wait for the first or to finish. What’s the deal??? Not sure if this could be the case, but it will depend on how many workers you have. I have 3. 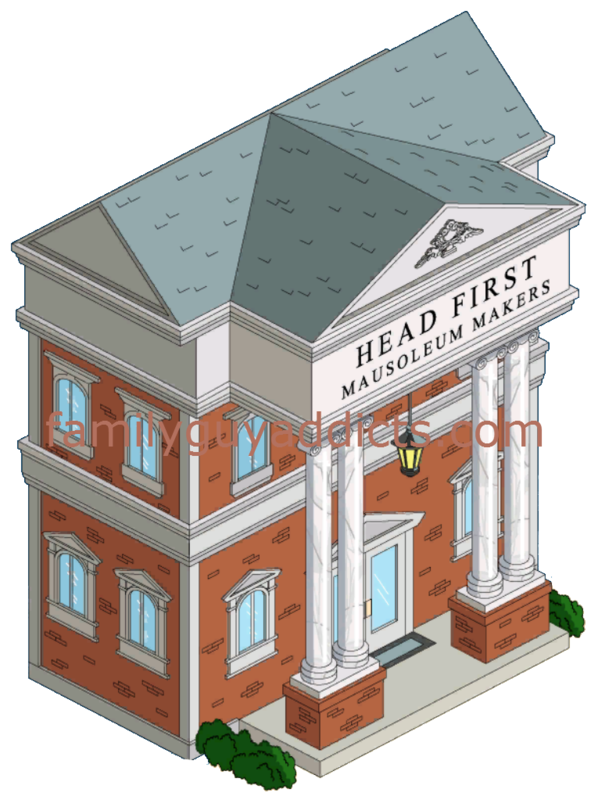 Two were clearing land, the third one was building Madame Claude’s store at the same time. So I think that if the game doesn’t allow you to build something is because you ran out of workers and can only continue when he is done with his task. That is true. I went off of what they were saying. If it is the typical “not enough workers” pop up… then they do have to wait. If it is something that they are legit seeing they can’t build and no workers currently busy… its something else. I unlocked both pieces by the Portal. The cheaper one first… though it seems I could place her building… but now I wonder if I did it before or after. The 3rd lower part is still not unlocked in my game. Thanks Bunny, sorry for double post. I sent TC a message too but it is the weekend…. I was able to place the building immediately in my game without having to unlock any land. I did all the steps to get me to the point where I could start unlocking the land allowing, so I sent a construction guy to work on the section with the portal. 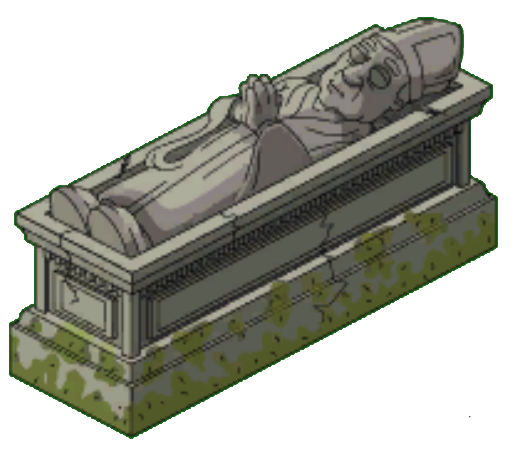 Maybe TinyCo changed it from first day of release. I remember having a similar problem with another district. It would only allow me to unlock 1 specific section of the district before I could do the others. It wouldn’t allow me to dig up 2 at a time. I placed her building after unlocking the first plot and I started the second plot after so I don’t think that’s the problem there. I placed her building before I cleared any land.. I just put the focus on the portal, then went to the store and bought it. It automatically placed it right next to the portal, then I started clearing land. 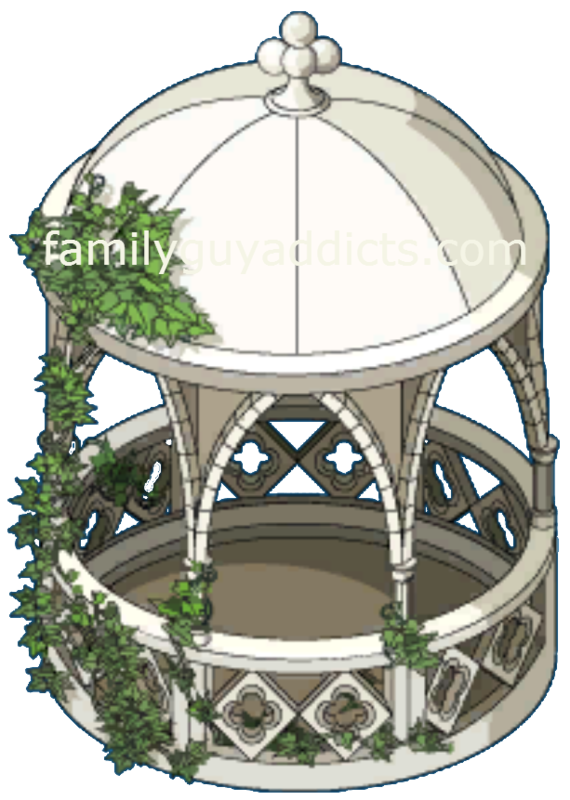 I waited until after the first (24hr) and second (36hr) plot were cleared before building Madame Claude’s building, because initially I wanted to wait to make sure that her item tasks wouldn’t interfere with Chip or Finn, and then had to wait until the second plot finished and freed up a builder. But she was available as soon as the land showed up. I started a bit late though, so maybe it was something they fixed before I got to that point. I have a lil question to know if its just in my game…..the cemetery fences are suppose to be that small or is just a bug? 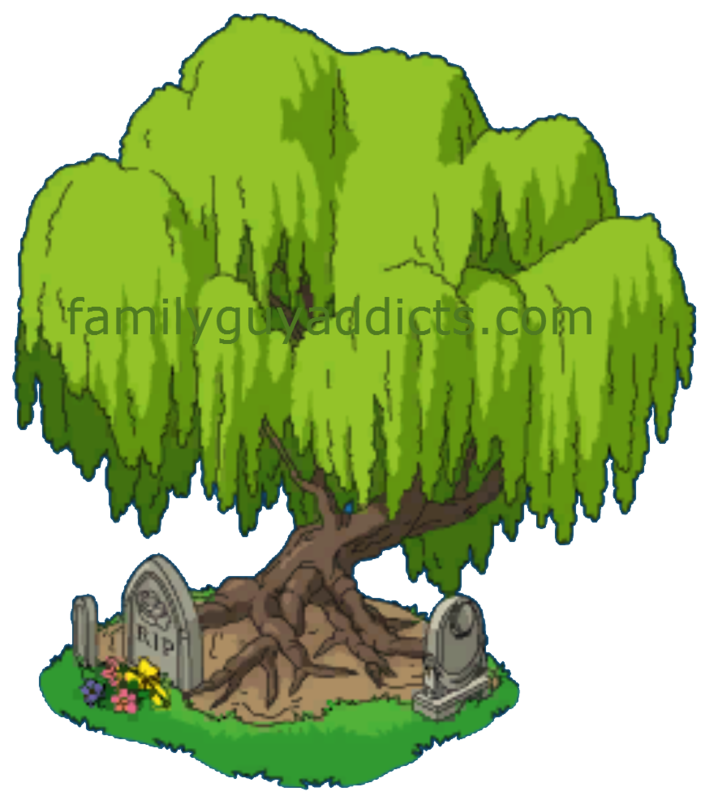 because I tryed fencing the cemetery area and they are shorter than the characters. Teeny. 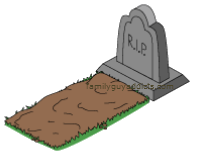 They’re graveyard ones aka size of one’s that go round Graves. 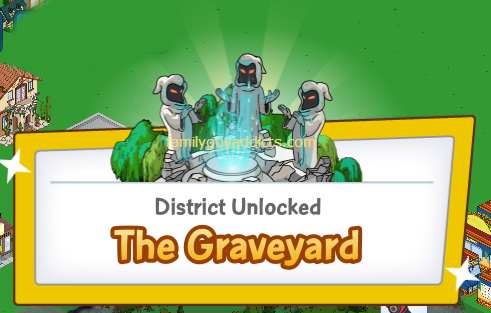 Okay, so to clarify here, if I want all of District 11’s decorations, I have to ignore at least 1 character in the Portal or the Zombies and the parts from them to make the decos will disappear and I wouldn’t be able to get the decos. Correct? Yup. Watch your tapping. No more Zombies once the last Ghost is released. PLENTY of time to spend on and focus on collecting stuff. Believe me you’re going to have a TON of time to tap zombies. I just got Paddy and he needs 4 types of drops and the shortest time for any task is 8hr and most are in the 12-14hr range and you need a bunch. Each person is probably going to take in the 4-7+ day range to unlock so you’re going to have probably hundreds of zombies to tap between characters. So just curious, are Lorreta, Paddy, and new Brian actual characters we get to keep? Or are they just associated with a quest line and disappear when done? Anyone else hybrid babies stop spawning since this started? I’m completely sure I haven’t gotten one within the past day. My are still spawning in mass all over my game. At least 4 every 2 hrs. Try some basics and alert TinyCo if you see an issue. I had over 300 clams and didnt buy anything (yet) and suddenly half of my clams dissappear. I let them know but i wonder what the problem was. Tinyco is very good at fixing my clam problems so im not worrying about it. Hopefully not accidentally forwarding a building, character, or Land Plot. Those new Land Plots cost around 150-180 to fast forward. Question. 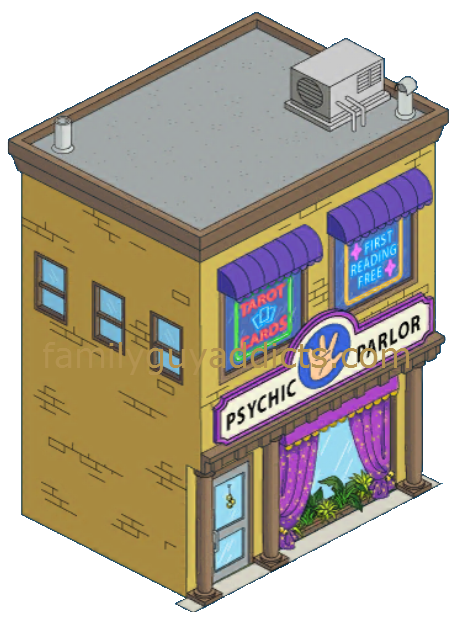 Anybody far enough along to know what buildings the quest requests you to build other than the Psychic Parlor? With such long build times, I want to build the ones needed to advance the storyline first.